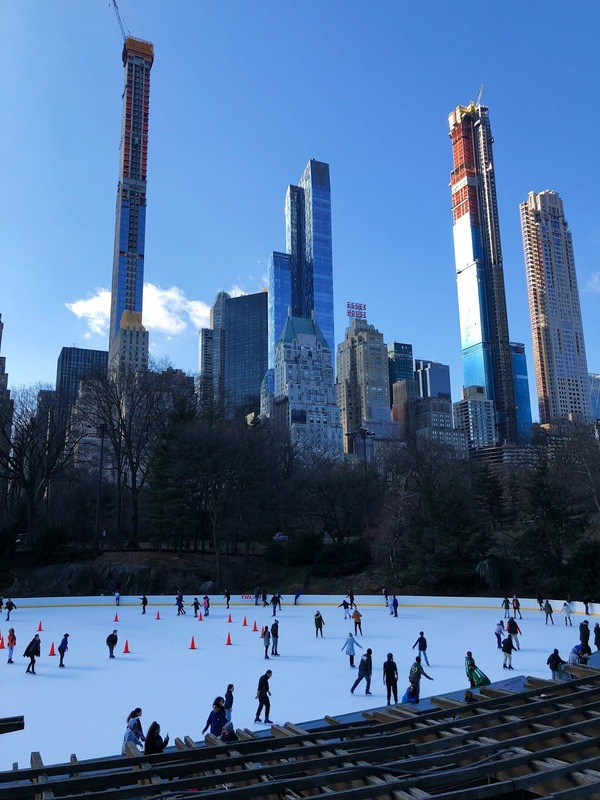 Trips to New York in the winter are incredibly affordably, so it would have been plain rude for me to not take a little trip over to the big city. 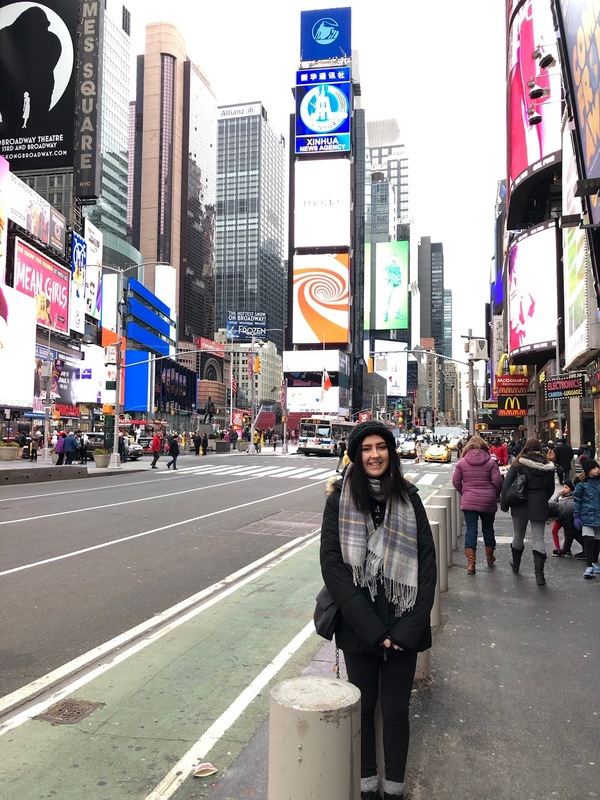 The last time I visited New York was the summer of 2017, so needless to say this time was a lot colder. After obsessively monitoring the weather forecast for the dates we’d be visiting for weeks before, I made sure myself and my boyfriend had plenty of layers prepared. Despite it being around -6 degrees most of the time, we still made use of our 4 nights in the city. We booked our trip as a package with Virgin – flights, hotel for 4 nights and airport transfers all for around £500 each. It was such a painless and easy way to travel, I’d highly recommend. 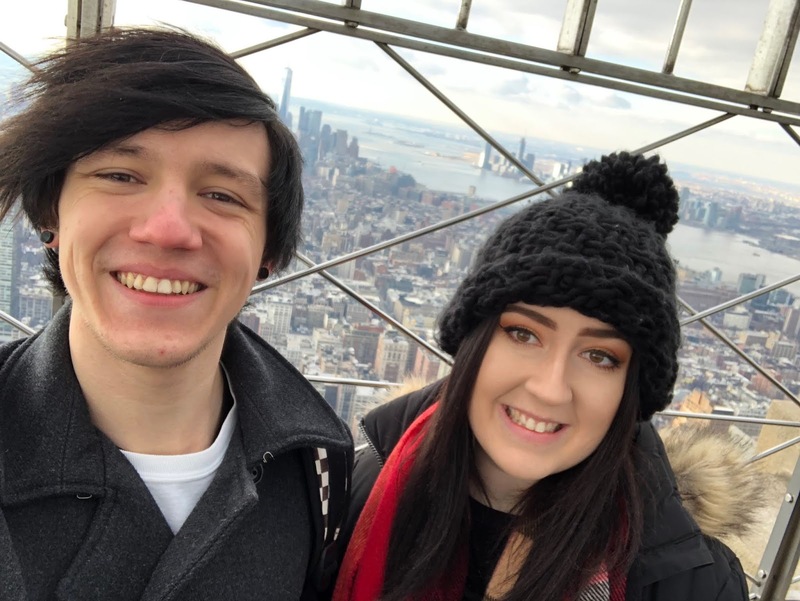 Even though I’ve been before, it was my boyfriends first time – and a trip to celebrate his birthday! 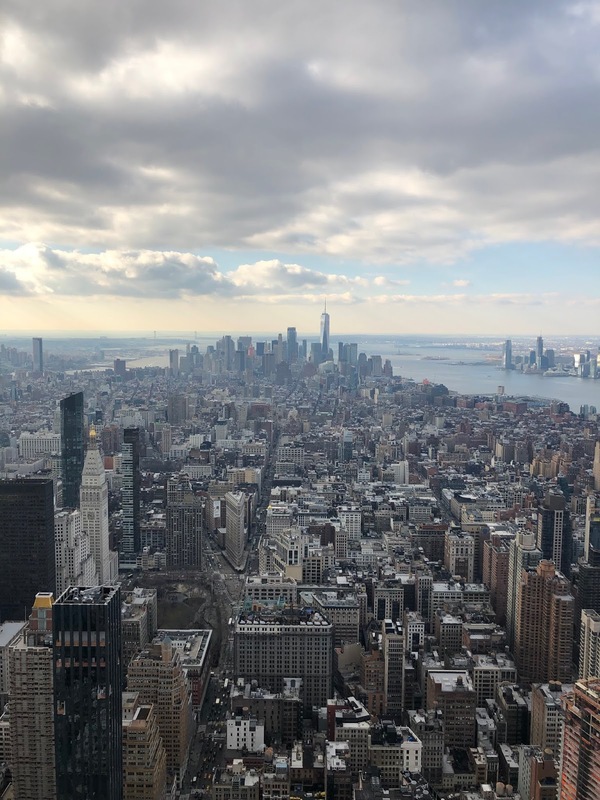 So needless to say we did all the tourist attractions – the must do’s of New York. 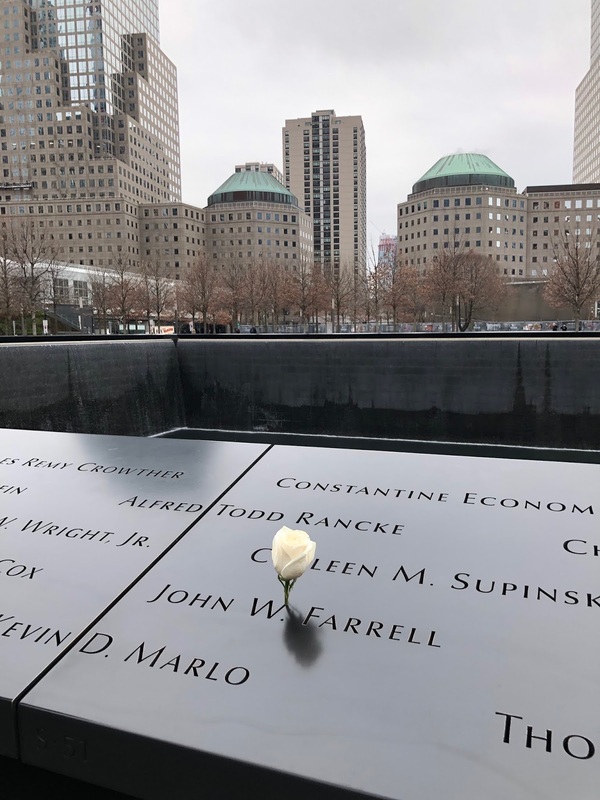 An eerie and somewhat emotional location and it would sound weird to call it a tourist attraction, but if you’re visiting New York I’d highly recommend visiting Ground Zero and paying tribute to all those who lost their lives in the tragedy. I’ve been told the museum is also good, although we didn’t go in this time. 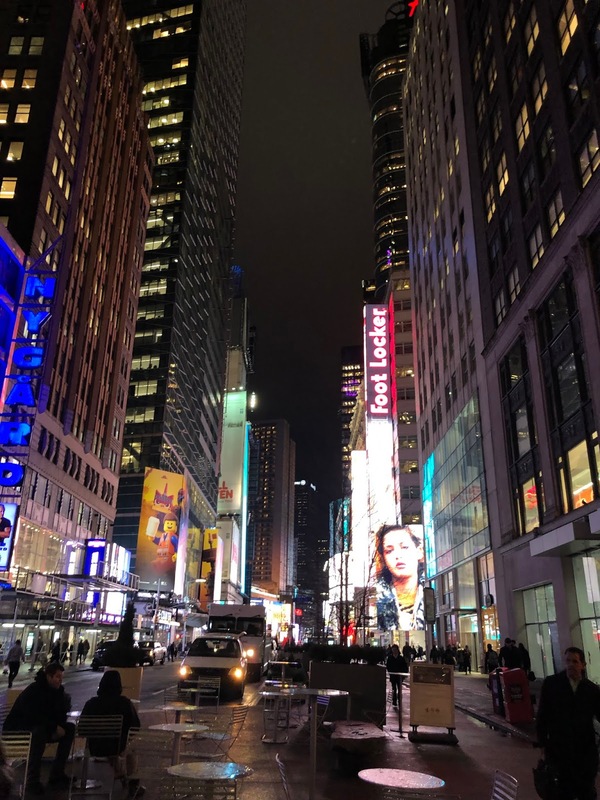 We booked our hotel with Virgin and were staying around a 20 minute walk away from Times Square – in the Affina Shelburne hotel, I’d highly recommend- and so we walked there most nights, to see the lights, do some tourist shopping and have food. Public thank you to all the lovely strangers who agreed to be our own personal photographer and take a million photos of us. 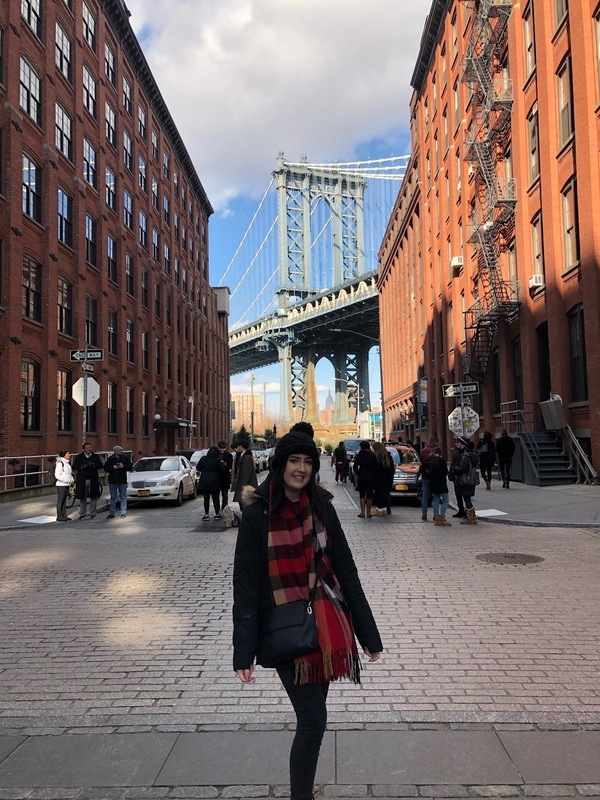 This is the one thing I didn’t do last time I was in New York and was probably my favourite thing we did on this trip. 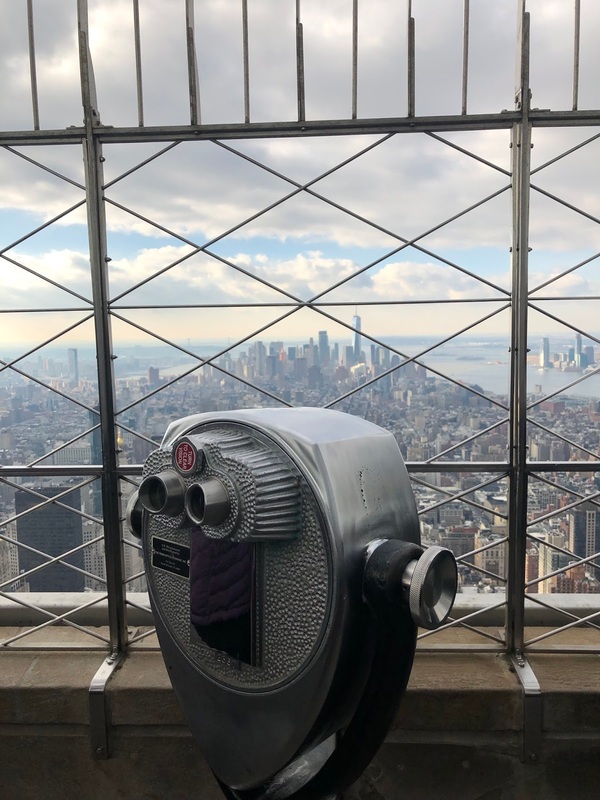 It costs $37 per adult to go up to the 86th floor where you can go outside and have a perfect view of the whole of New York. It really is worth the money – although it was absolutely bitter the day we went up, and even started snowing! Gloves, hat and scarf are a necessity if you’re thinking of doing this in the winter! Again, a must do if you’re an instagram addict like myself –wow that sounded way less lame in my head. This was another bitterly cold day, especially with the wind on the bridge. 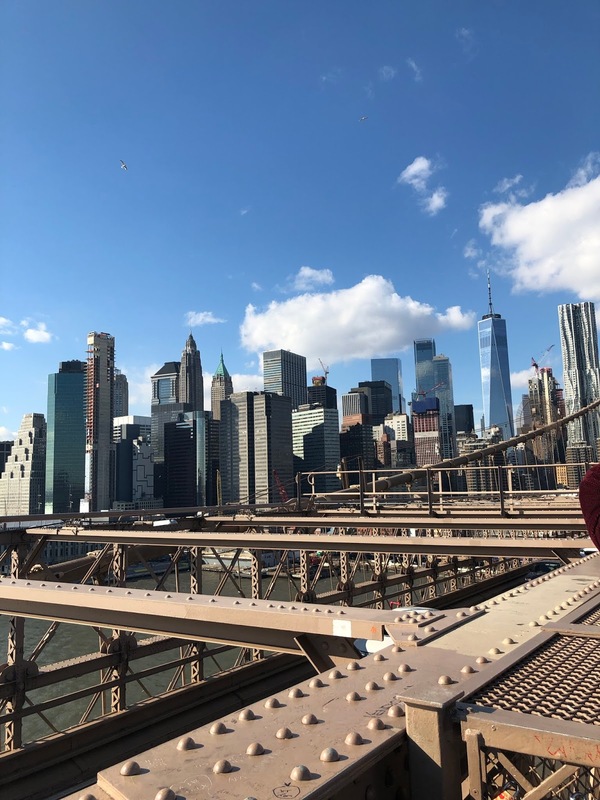 It’s probably about a 20 minute walk from Manhattan to Brooklyn, but well worth it to see the view of Manhattan from the bridge. Again, another instagram spot – sorry not sorry. 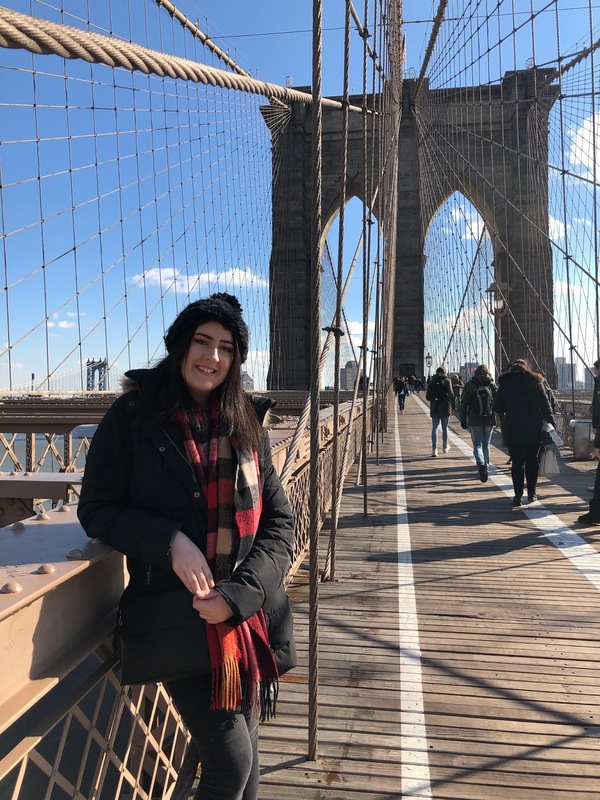 This is a photo I see every blogger that goes to New York do, and it just so happens to be right and the end of the Brooklyn Bridge! 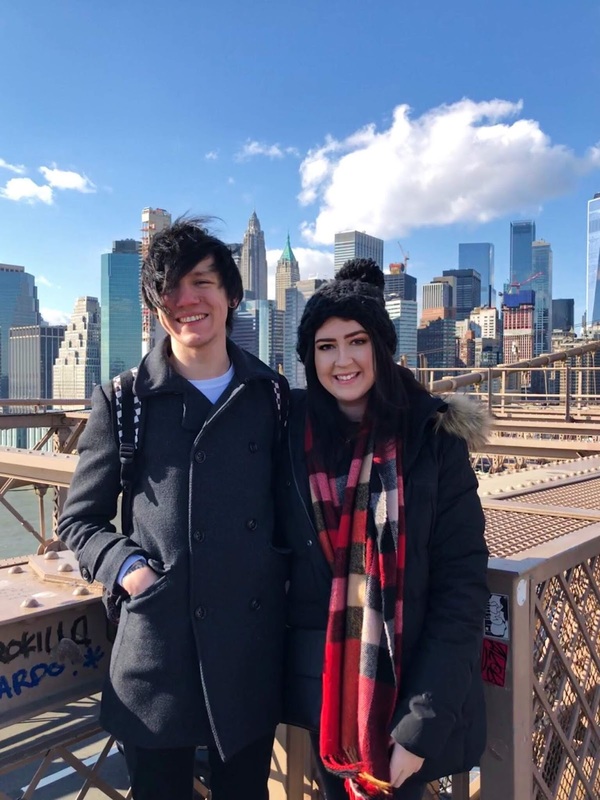 So after our bitterly cold walk over the bridge, we stopped in one of the side streets to take some extra posery tourist shots before a well needed slice of pizza and coffee. 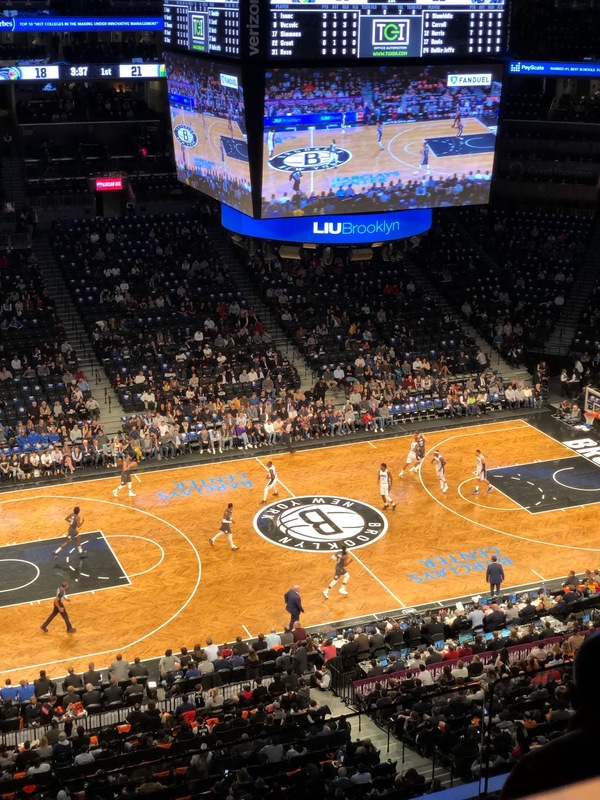 We went to go watch the Brooklyn Nets vs Orlando Magic, and thoroughly enjoyed ourselves! We managed to grab some super cheap resale tickets (about $25 dollars each) and had pretty good seats! If you’re going to New York in the winter/basketball season, I’d definitely recommend popping along to a game if you can. Go Nets! We also won the game we went to – woo! This is somewhere a friend who’d been to New York just a week before us had recommended we go to- and I’m very glad we did! Woodbury is a giant designer outlet located in New York state, you need to prebook an organised coach which takes about an hour each way and costs $40. But, the savings in the outlet are definitely worth it! I managed to knock $100 off a Michael Kors purse whilst my boyfriend picked up 2 pairs of Vans for under $100. 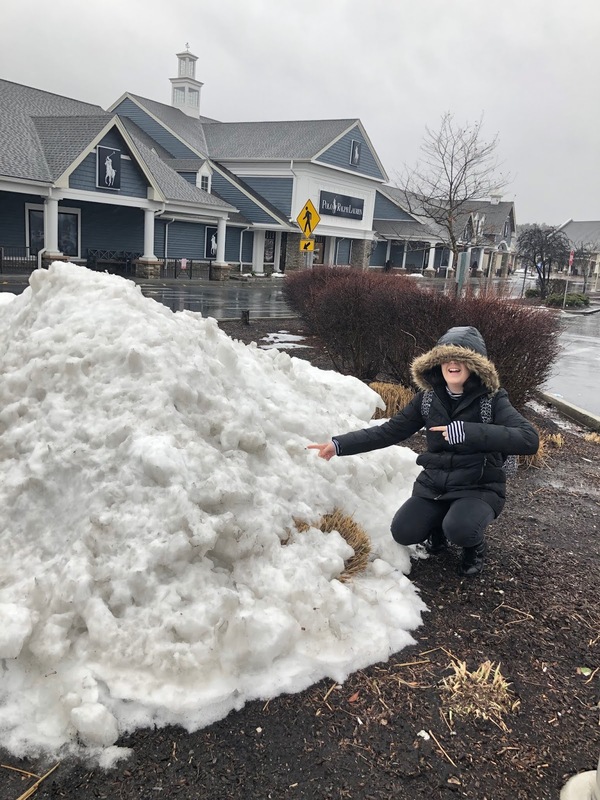 Oh, and we also caught some snow out there! 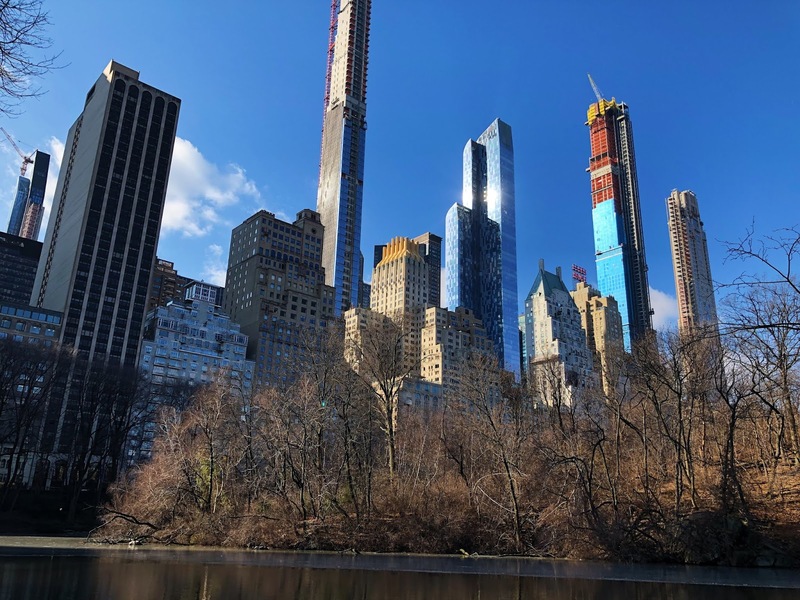 Central Park is absolutely huge, we didn’t even touch the surface! 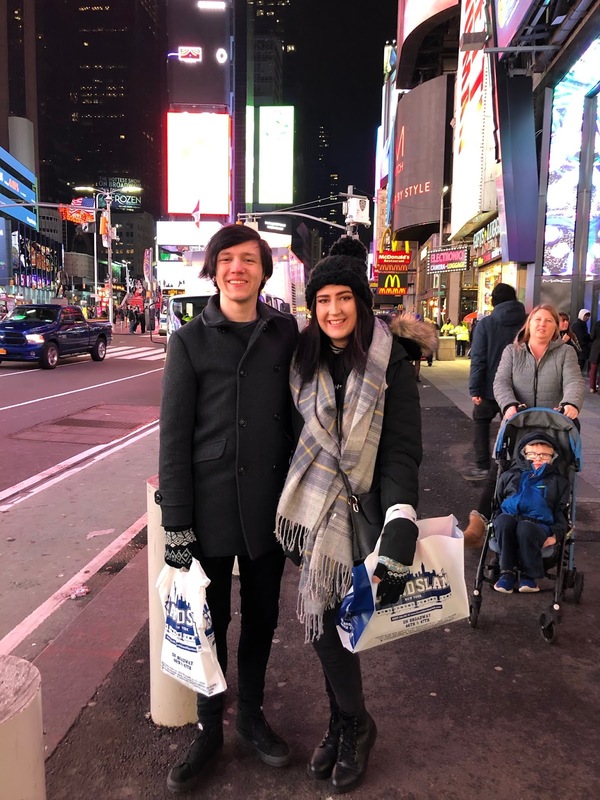 You can get carriage rides and tours all round the park for a reasonable price, but we decided to have a quick walk through on our way to Tom’s Restaurant (any Seinfeld fans would understand). The ice skating rink is open for most of the winter season, we originally planned on braving the ice however I think 3 days of walking around the city and the resulting aching feet was reason enough to give it a miss. 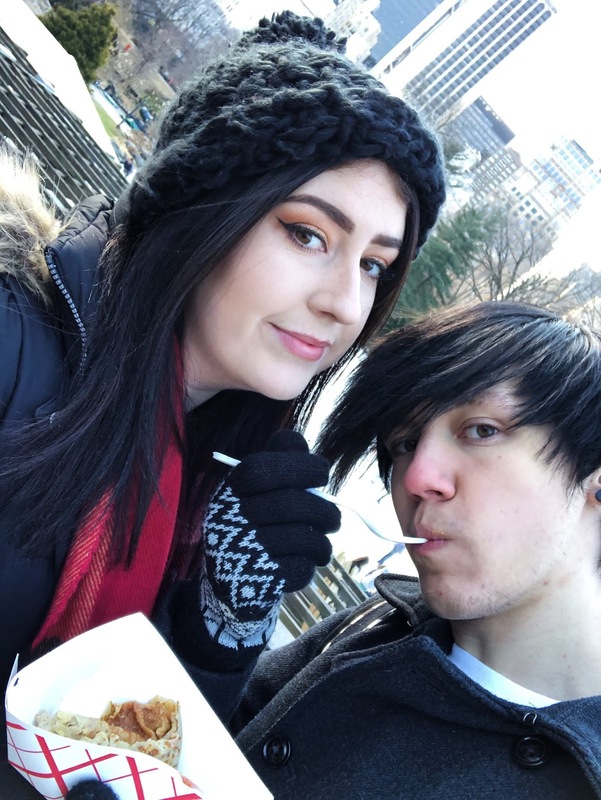 We did have time to stop off for a crepe to keep us going on our rather chilly walk through Central Park.